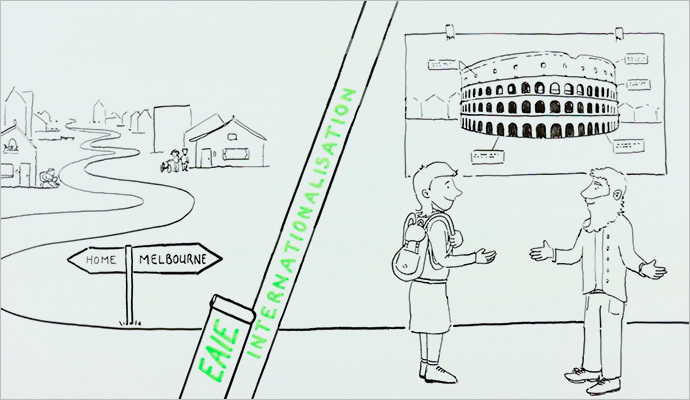 Founded in 1989, the EAIE is the acknowledged European centre for expertise, networking and resources in the internationalisation of higher education. We are a non-profit, member-led organisation serving individuals actively involved in the internationalisation of their institutions through a combination of training, conferences and knowledge acquisition and sharing. We equip academic and non-academic professionals with best practices and workable solutions to internationalisation challenges and provide a platform for strategic exchange. We partner with key stakeholder organisations and institutions to promote our membership interests, and advance international higher education in Europe and the rest of the world. Inspire professionals. Be their voice. Remain relevant. Strengthen our community. This is what the EAIE is working to achieve by 2020. Learn more about these four strategic goals by watching the video below. The EAIE is the European centre for knowledge, expertise and networking in the internationalisation of higher education. As a member-led association, our mission is to help our members succeed professionally and to contribute to developments in international higher education from a European perspective. 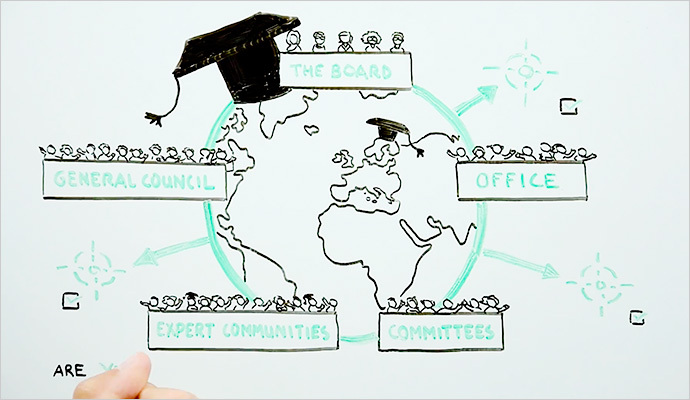 The EAIE is a democratically governed association committed to diversity. The needs of our members are at the core of our activities and their engagement is the key to our success. We believe international education and exchange deepens appreciation of human society and is essential to the prosperity of societies and individuals alike. offering state-of-the-art services to help our members and other professionals succeed in their work in a constantly changing field. the European gateway to knowledge acquisition in international higher education and the principal platform for networking and strategic exchanges. driving developments in the internationalisation of higher education in Europe by influencing key decision-makers in the field. To better fulfill its mission, the EAIE produces and utilises relevant data to support its decision-making and forms strategic alliances with key stakeholders in the field.